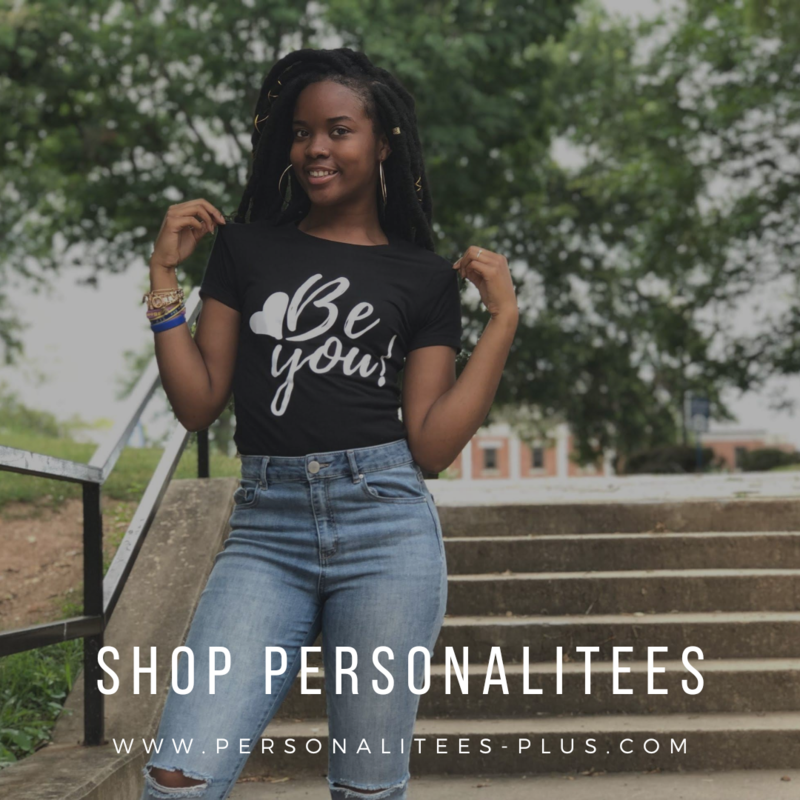 It’s almost Spring and so many fashionable things are in store for us. Discover the launch of the new Perry Satchel from Rebecca Minkoff at Saks Fifth Avenue – Raleigh, NC. 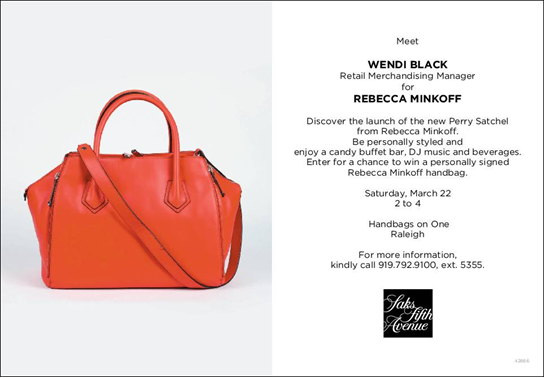 It’s happening Saturday March 22, 2014 from 2:00 – 4:00 p.m. You’ll have a chance to meet Wendi Black, Retail Merchandising Manager for Rebecca Minkoff. Wendi will be talking about the NEW Perry Satchel and personally styling customers. BONUS: One LUCKY customer will have an opportunity to win a Rebecca Minkoff Perry Satchel. In addition to that, Saks Fifth Avenue will be giving away Rebecca Minkoff nail polishes as a gift-with-purchase that day and offering a complimentary nail polish at the Rebecca Minkoff nail bar. I’m excited to see the custom nail polish line up. 2nd BONUS: There will also be a social media contest giving you another opportunity to win a “signed” Rebecca Minkoff handbag. 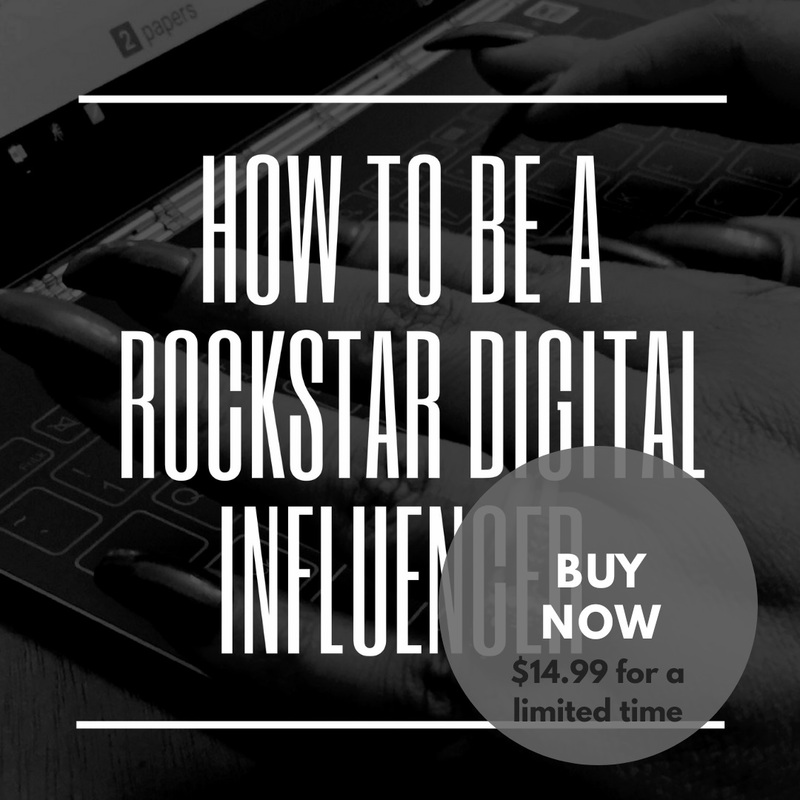 All you have to do is take a “selfie” with a Rebecca Minkoff handbag with your cell phone at the event and upload it to instagram and twitter with the hashtag #myRM where you will be entered to win the signed handbag. Rebecca Minkoff and her team will be judging the pictures to select one lucky winner. Oh, I’m so excited! I love a designer handbag! You can enter to win both Rebecca Minkoff Handbag contests and double your luck! You’ll also be able to enjoy a candy bar, Live DJ and beverages. For more information kindly call 919-792-9100 Ext. 5355 or head over to the Saks Fifth Avenue Raleigh Facebook page.